The Terraces of the Bahai Gardens Faith, are usually known as The Bahai Gardens in Haifa. This is a holy place of the Bahai religion and a major tourist site in Israel. The beautiful hanging garden terraces are located around the golden-domed shrine of the founder of the Bahai religion, the Shrine of the Báb on Mount Carmel. The staircase includes nineteen extremely beautiful terraces, extending almost a kilometer, covering about 200,000 square meters of land. The gardens combine works of stone and metal as well as fountains and green expansive lawns. The gardens are linked by a set of stairs flanked by twin streams of running water cascading down the mountainside through the steps and terrace bridges. 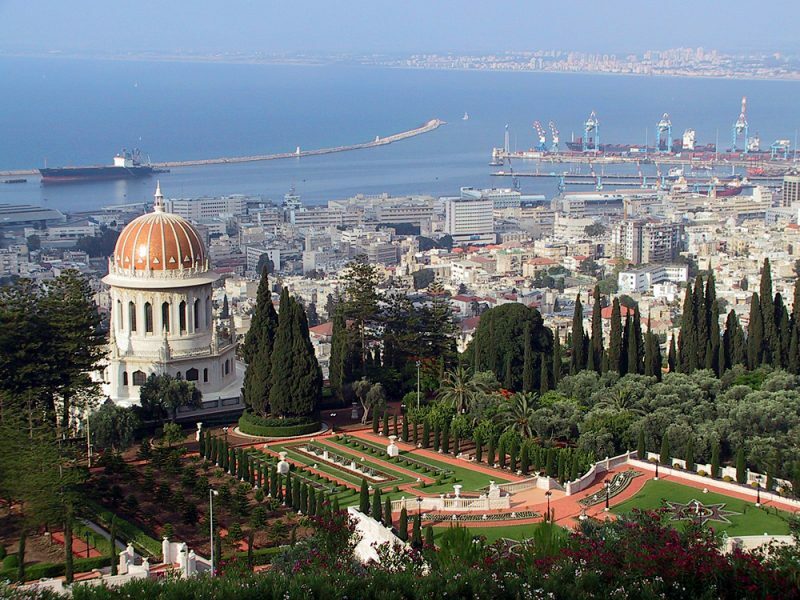 The architect of the Bahai Gardens in Haifa was Fariborz Sahba from Iran. He began designing the gardens in 1987. The terraces were opened to the public in June 2001. The garden overlooks the panoramic views of the city, the Galilee Hills and the Mediterranean Sea – a must! The Báb, born Siyyid `Alí Muhammad Shírází (سيد علی ‌محمد شیرازی‎), 1819 – 1850, was the founder of Bábism, and one of the central figures of the Bahá’í Faith. On the morning of July 9, 1850 he was by a firing squad of Muslim soldiers. His remains were dumped outside the gates of the town to be eaten by animals. However, the remains were clandestinely rescued by a handful of Bábis and then hidden. Over time the remains secretly transported according to the instructions of Bahá’u’lláh and then `Abdu’l-Bahá by way of Isfahan, Kirmanshah, Baghdad, Damascus, Beirut, and then by sea to Acre on the plain below Mount Carmel in 1899. On March 21, 1909, the remains were interred in a special tomb, the Shrine of the Báb, erected for this purpose by `Abdu’l-Bahá, on Mount Carmel in present-day Haifa. The Shrine of the Báb is the structure in Haifa where the remains of the Báb, founder of the Bábí Faith and forerunner of Bahá’u’lláh in the Bahá’í Faith, were buried. It is considered to be the second holiest place on Earth for Bahá’ís, after the Shrine of Bahá’u’lláh in Acre. Its precise location on Mount Carmel was designated by Bahá’u’lláh himself to his eldest son, `Abdu’l-Bahá, in 1891. `Abdu’l-Bahá planned the structure, which was designed and completed several years later by his grandson, Shoghi Effendi. The architect was William Sutherland Maxwell, a Canadian Bahá’í who was a Beaux-Arts architect and the father-in-law of Shoghi Effendi. Want to see more? Add The Bahai Gardens in ‘Akko (also known as the Gardens of Bahjí – Gardens of Delight) and the Mansion of Bahjí (the summer house in Akko) to your itinerary. 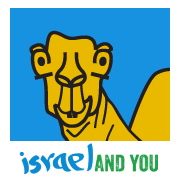 It is just across the bay from Haifa. This garden is the site of the Shrine of Bahá’u’lláh. 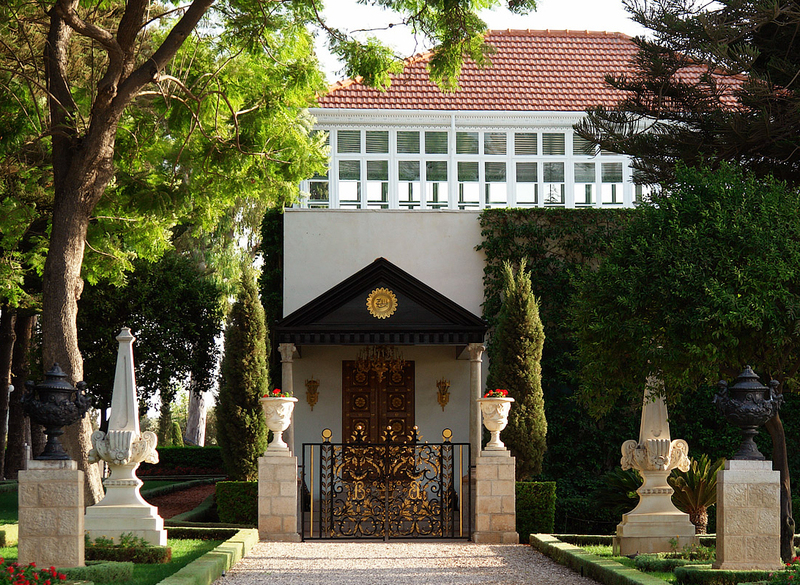 The Shrine of Bahá’u’lláh, located in Bahjí near Acre, is the most holy place for Bahá’ís and represents their Qiblih, or direction of prayer. It contains the remains of Bahá’u’lláh and is near the spot where he died in the Mansion of Bahjí. Bahá’u’lláh ( بهاء الله‎) means “Glory of God”. Born Mírzá Ḥusayn-`Alí Núrí (میرزا حسین‌علی نوری‎), 1817-1892, was the founder of the Bahá’í Faith. The final years of Bahá’u’lláh’s life (1879–1892) were spent in the Mansion of Bahjí, just outside Acre, even though he was still formally a prisoner of the Ottoman Empire. Just before He arrived in that prison city in 1868, Baha’u’llah spent some hours across the bay in Haifa, a place where 23 years later He would point to a spot on the steep northern face of Mt Carmel and issue a direction that it become the last resting place of His spiritual forerunner, the Bab.